How do I know my connection is secure? 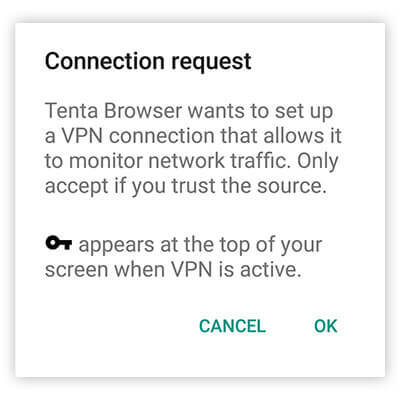 The first time you start a VPN connection, you will see a prompt asking you to allow the VPN connection. You only have to grant this permission once. When you’re connected to a VPN, you will see a lock icon on your action bar.